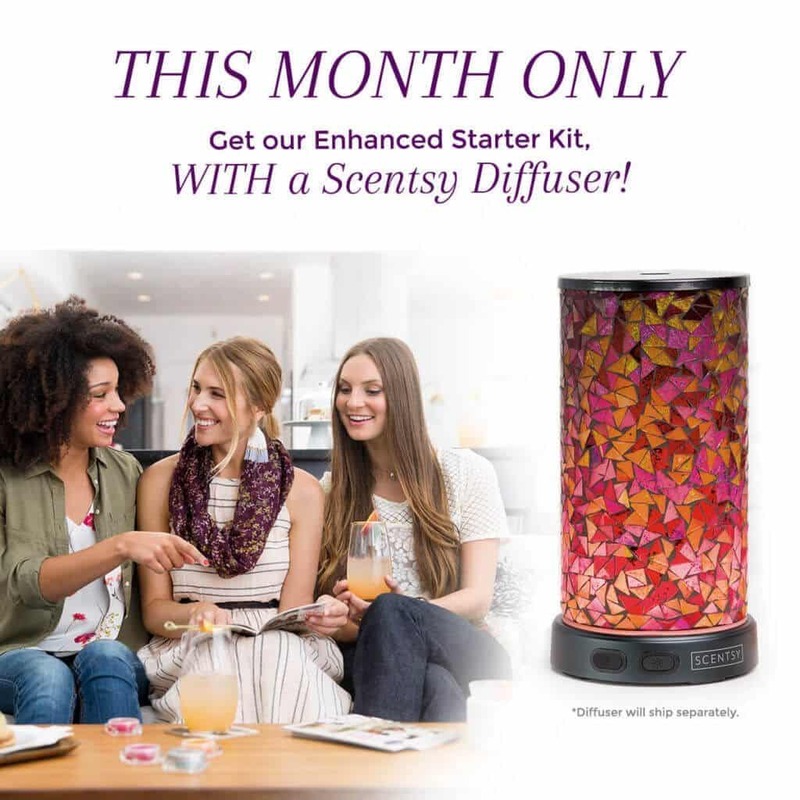 We’re in the process of transitioning to the Scentsy Fall / Winter 2017-2018 Catalog. *Scentsy Bars will be increasing in price to $6.00 per Bar starting 9/1/17, 6 Pack Bundle for $30(Buy 5, get one free) and a Twin Pack of same Fragrance for $11(Save $1). Other Bundle & Save options will be adjusted on 9/1/17 to reflect this increase accordingly. Some exclusions may apply to the sale in August – ex. Licensed Warmers, Bundles & Saves. 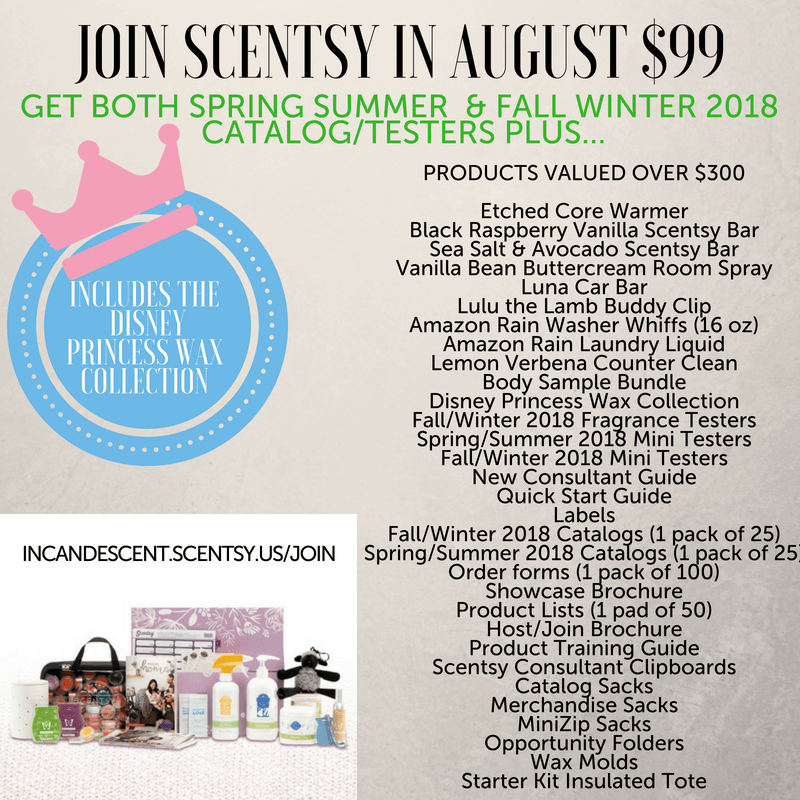 See the Fall 2017 Discontinued Scentsy Items List – Purchase those items while you can! Available in Skin fragrances No. 16 (creamy coconut, sheer freesia and silver driftwood) and No. 34 (candied violet, pink orchid and Chantilly cream). Five 3 ml bottles — one in each Skin fragrance: No. 09 (crushed pineapple, coconut milk and exotic vanilla), No. 27* (mandarin nectar, velvet rose and white amber), No. 34 (candied violet, pink orchid and Chantilly cream), No. 45* (lemon sugar, wild poppy and tonka bean) and No. 82 (white peach, white magnolia and white amber). Available in Skin fragrances No. 09, 16, 34, 82 and 88. Mix and match! 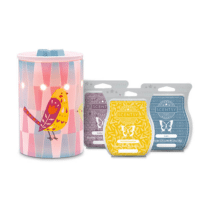 All of these Mother’s Day gift specials are available starting April 3 at Incandescent.Scentsy.us, but don’t wait until the last minute to order! These great deals are available only while inventory designated for this promotion lasts. 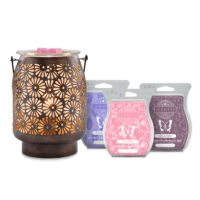 Remind Mom how special she is with a Scentsy Mother’s Day gift! *The Moisturizing Body Bar and fragrances No. 27 and 45 are exclusive to this Mother’s Day promotion and are not offered in our Spring/Summer 2017 Catalog.